Waterproof/breathable (W/B) clothing has been controversial since Gore-Tex first appeared some forty years ago. Outdoors folk argue vigorously about its merits and failing, about whether it works at all, about whether it's a complete con, about whether it's actually waterproof let alone 'breathable'. 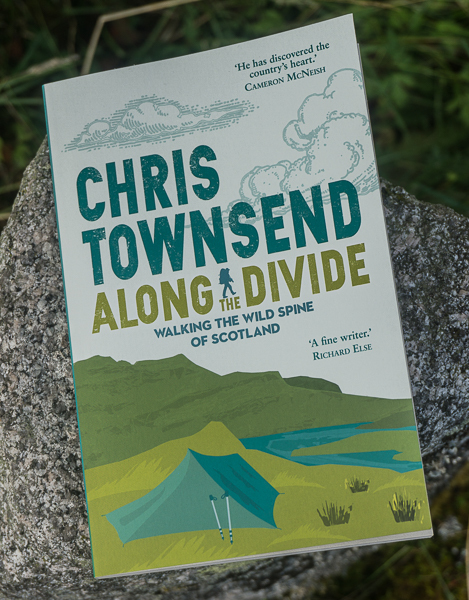 Most recently this debate was stirred up again by Jörgen Johansson, author of the excellent Smarter Backpacking, in this article on the Fjärderlätt website. Jörgen referenced long-distance backpacker Andrew Skurka's hard-hitting views, which appeared on his website last year. Also worth reading are climber and writer extraordinaire Andy Kirkpatrick's forthright opinions. These are three highly experienced mountain men whose views I respect. That doesn't mean I always agree with them though. Here, anyway, are my thoughts, based on far too much experience of wet weather. (For the purpose of this piece by W/B fabrics I mean ones with a coating or membrane not two-layer materials like Paramo which aren't technically waterproof though they do keep out most rain). Firstly let’s make clear where I stand on a couple of points. W/B fabrics have certainly been grossly over-hyped and their performance talked up ridiculously in the marketing. That doesn’t mean they don’t work but if you believe the exaggerated claims you’ll be disappointed. Then there’s that word ‘breathable’. I don’t know who first came up with it but I wish they hadn’t. It’s silly. Fabrics cannot breathe. They’re not alive. ‘Breathable’ suggests they do something active. They don’t. They’re inert. We’re stuck with the word now however. What the fabrics do is allow moisture vapour (not liquid water) to pass through. The jargon for this is Moisture Vapour Transmission or MVT. The rate of this – MVTR – determines just how breathable the fabric is. That measurement is for 24 hours of steady vapour transmission in the lab. Of course in the real world you don’t transpire regularly, the rate goes up and down enormously depending on activity levels. Walk vigorously on a wet humid day and you’ll be putting out an enormous amount of moisture, almost certainly too much for any W/B fabric to allow through fast enough, resulting in condensation forming on the inside of the garment. However a difference between W/B and non-breathable waterproof fabrics is that the condensation in the latter will be far more copious and it won’t shift until you can vent or remove the garment. With a W/B garment once you’re not exercising so hard and/or the rain eases the inside of the garment can dry out. For moisture vapour to escape it helps if the outer of the fabric isn’t saturated. Pushing moisture vapour through a film of water is difficult. To counter this the outers of W/B garments are given a water repellent treatment that makes rain bead up and run off. This is the DWR or Durable Water Repellency, a misnomer if ever there was one. Durable it isn’t, and now that the stuff that’s been used for years has been found to be environmentally unfriendly it’ll be less so in the future as the replacement treatments are not yet as effective. When the DWR wears off it doesn’t mean the garment is leaking, though many people think that’s what’s happening. It means that it will be less breathable. Only less breathable though, not non-breathable. The DWR can be replaced with wash-in or spray-on treatments from Nikwax and other companies. This is worth doing though it never seems to last as well as the factory treatment. It’s not practical to do on a long walk however and I’ve finished a few of those with garments with no DWR left. They’ve still kept the rain out and allowed some moisture through though. After many days of rain on the Pacific Northwest Trail in a Rab Demand Pull-On made from eVent that has lost it's DWR but which still kept me comfortable and only a little damp inside. Whilst ‘breathability’ varies between fabrics and in performance waterproofness doesn’t. These fabrics are waterproof. I’ve never had rain come through a W/B garment that wasn’t worn out and I’ve spent many, many days and weeks walking in rainy weather. Even on wet multi-month walks my W/B clothing has been as waterproof at the finish as at the start. Does this mean I always stayed dry inside? No, and any dampness wasn’t only condensation. Heavy driving rain will find its way inside a hood and up sleeve cuffs and the hem of a jacket however tightly they are closed. And once inside it will start to spread out, which can make you think the garment is leaking, especially if it’s merging with condensation too. When carrying a pack you’ll almost certainly get very damp under the shoulder straps and hipbelt and anywhere the pack touches your back too. Put a thick layer of foam and nylon over a W/B fabric and it doesn’t matter how breathable the latter is, moisture can’t escape. At the end of a day of rain I expect to be slightly damp inside W/B clothing. At the end of many rainy days I expect to be more than slightly damp. The constant rain and high humidity leads to slowly creeping wetness. What I don’t expect to be is cold and that’s the key. Getting wet won’t harm you, getting wet and cold can. Try wearing a non-waterproof top in cold rain and see how quickly you start to feel chilly, especially if it’s windy. Much safer and more comfortable to be warm and a little damp from sweat than cold and wet from rain. The performance of W/B garments can be enhanced by how you use them. Firstly, don’t wear them if it’s not raining. That extends their life, reduces wear of the DWR, and means you’ll be more comfortable. Windproof tops are far more breathable than any W/B fabric. Next unzip anything you can – far more moisture vapour can escape at the neck, cuffs, hem and through pit zips or mesh pockets than through the fabric. And don’t wear too much underneath. If you’re comfortable when the rain starts you’ll probably be too warm if you add a W/B garment over your clothing without taking a layer off. Being too warm means you’ll produce more moisture vapour resulting in more condensation. The type of garments you wear under W/Bs matters greatly of course, especially the next to skin layer. This needs to be one that doesn’t feel too cold when damp and that allows moisture through – either a wicking synthetic or wool or a blend of the two. Never cotton, which absorbs moisture and then feels cold and clammy. If you want to find out just how damp you can get in a W/B jacket go out with just a cotton shirt on underneath and see how wet it gets. If you need a midlayer light fleece is excellent as it allows moisture through. If that’s too warm a thin windproof works well. 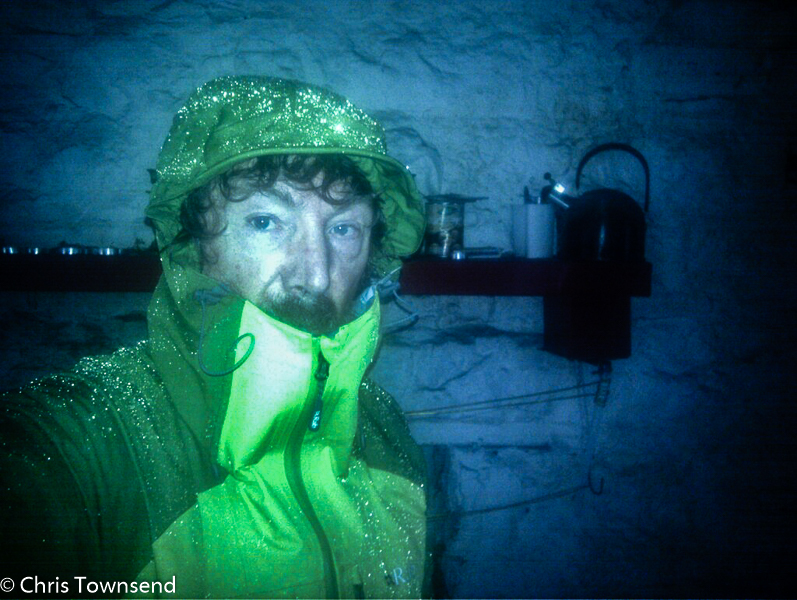 In fact in cool rainy weather base layer, windproof, waterproof is my usual clothing system. So W/B clothing then? It works but not as well as claimed. It is waterproof. Breathability varies. It won’t keep you perfectly dry. But it will keep you more comfortable in wet weather than anything else, especially if you use it sensibly. Excellent Chris. Echoes my experiences and thoughts precisely. I have never got on with Goretex but try buying a pair of boots without it - the marketing boys must be laughing all the way to the bank! Thanks Ian.Waterproof/breathables in footwear is a whole other issue. I'll write something on that soon. There are boots without membranes (it's not just Gore-Tes)but they are hard to find. Shops say customers won't buy them, a tribute, unfortunately, to the marketing. Years ago I liked the original Brasher Supalites, which didn't have a membrane. These disappeared after a year. When I asked Brasher why they said the shops wouldn't stock them. 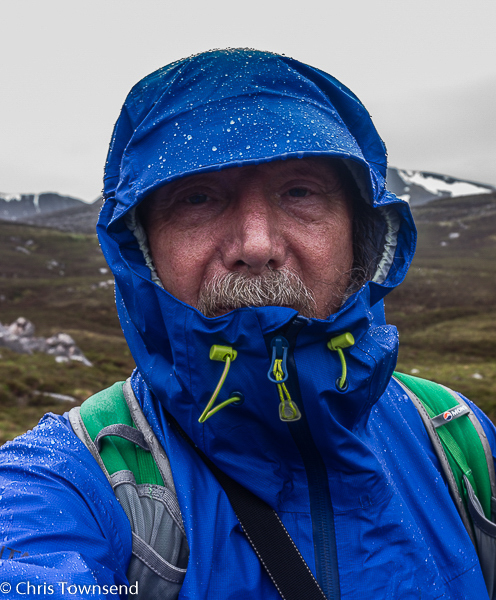 Chris, I've got one jacket - from a reputable,upper mid-range, outdoor manufacturer who I won't libel on your site - and for several outings after buying it, I still wasn't sure whether I was damp from leakage in or from moisture trapped inside. I worked it out in the end (it was the latter) but, whatever the cause, I was still ending up damp on warm, wet days; particularly when climbing any sort of gradient. Sometimes, if it's just showery and otherwise warm, I prefer to keep the clothing light and just let it get wet and then dry out again. Ian's comment is spot on; even shoes and boots for use around town are coming Goretex lined, these days. Chris, sometime I'd be interested to know your thoughts on the seemingly unstoppable rise of Mountain Warehouse. 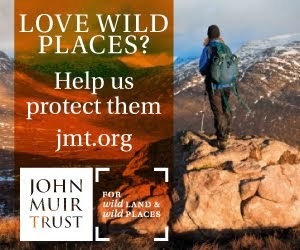 I was in Pitlochry a couple of weeks back and found out that Munros are surrendering their lease after 20 years in the town - because of escalating high street rents - but MW have opened up just a few doors away. I thought it was a great pity; I've bought stuff from Munros over the years (and did again on the day. At least they're keeping the Aberfeldy shop. Dave, yes, on warm wet days dampness inside a waterproof jacket is just about inevitable. If it's just showery or the rain is light I usually just wear a windproof. The rise of Mountain Warehouse is certainly continuing. 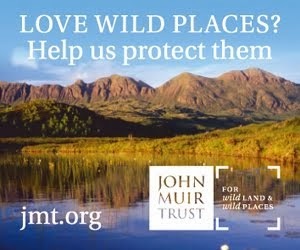 There's one in Aviemore now. It seems to be replacing Blacks as the budget/mid price outdoor shop. The latest story is that Sports Direct are interested in buying it. "So W/B clothing then? It works but not as well as claimed. It is waterproof. Breathability varies. It won’t keep you perfectly dry. But it will keep you more comfortable in wet weather than anything else, especially if you use it sensibly." A very good article. That is my experience as well. 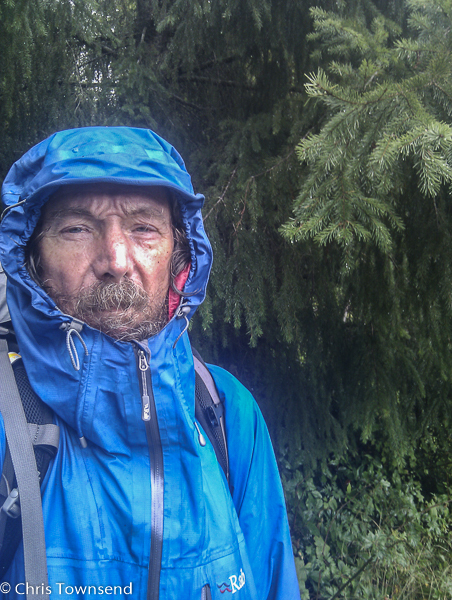 I have been quite comfortable and mostly dry after all day rain when wearing a light windproof under a light weight breathable waterproof,keeps me much drier than my Goretex pro jacket alone can do. I think body vapour passes through the windproof and condensed between the two layers.